Fungi and other filamentous microbes called oomycetes cause many devastating plant diseases and are together responsible for more than 10 percent of all crop loss. A groundbreaking new study now shows that even healthy plants host potentially harmful fungi and oomycetes in plant roots. That they do not succumb to illness is due to the simultaneous presence of a wide range of co-residing bacteria, which regulate the balance among these microorganisms in plant roots and thus ensure plant survival in nature. These are the conclusions of a study published in the journal Cell that was led by Stephane Hacquard and Paul Schulze-Lefert at the Max Planck Institute for Plant Breeding Research in Cologne, Germany. Soil hosts a staggering diversity and number of microbial organisms such as bacteria, fungi, and oomycetes. 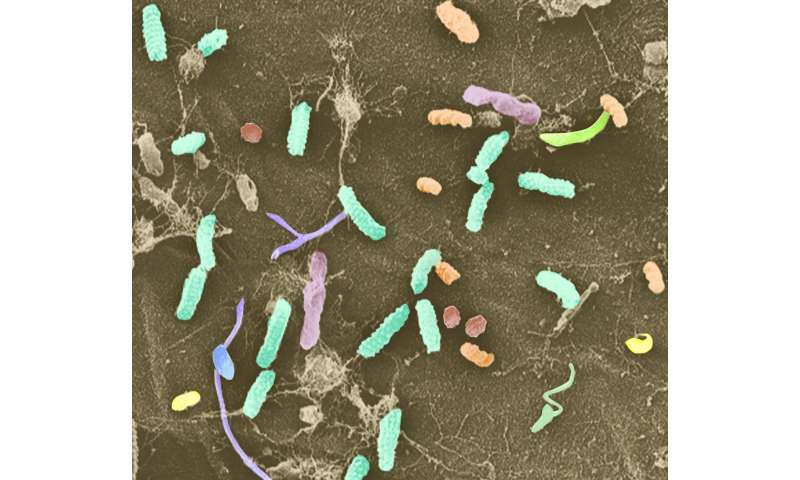 These microbes from different kingdoms of life are known to engage in complex interactions with each other, and a small subset, collectively called the 'root microbiota," is capable of colonizing the roots of healthy plants. Plants are soil-anchored organisms and their below- and aboveground parts are constantly under attack by various microbial pathogens. An elaborate innate immune system protects plants against many of these harmful microbes, but it remains unclear whether this machinery alone is sufficient to fully protect plants in nature. Little is known about whether interactions among microbiota members can influence microbial colonization of roots and promote plant health. The research team addressed these questions by first performing a census of the microbes associated with the roots and surrounding soil of healthy individuals of the model plant Arabidopsis thaliana from different geographical sites. While root-associated fungal and oomycetal communities exhibited large differences between the sites, the bacterial communities had a more similar structure, indicating potentially important functions for these root-inhabiting bacteria. Further, the authors found a potential signature of mutual exclusion between bacteria and filamentous microbes in roots, suggesting competition for access to the root niche. To more rigorously study whether these microorganisms compete in plant roots, the researchers first deconstructed the microbiota of healthy Arabidopsis thaliana by establishing pure cultures of root-associated individual bacteria, fungi and oomycetes. Then, in a reconstruction approach, they introduced combinations of bacteria, fungi, and oomycetes to germ-free plants to test the impact of these microbial groups on plant health. Using this system, the scientists observed that plant survival in the presence of fungi and oomycetes is fully dependent on the simultaneous presence of bacteria. These bacteria promote plant health by restricting the growth of fungi and oomycetes in roots. Moreover, several individual bacteria of the consortium were sufficient for this protective activity, showing that plant protection is a widely shared trait among distantly related root-associated bacteria. "We have demonstrated that the immune system of plants alone is not sufficient for protection against soil-derived and root-associated fungi and oomycetes, and that root-associated bacteria provide extended immune function, which is needed for plant survival in nature," says Dr. Hacquard. The authors' findings could contribute to the rational design of probiotic bacteria or bacterial communities that safeguard the health of agricultural crops. The group is now interested in defining which genes and molecules are involved in this protective function of bacteria.